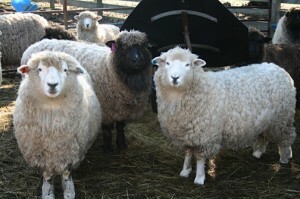 The Lopez Lamb, Wool & Goat Festival returns Saturday, May 9, at the Lopez Center for Community and the Arts on Lopez Island from 10 a.m. to 3 p.m. Started in 2011 as a celebration of island agriculture, the festival will feature various sheep and goat breeds, cheese making and meat cutting demonstrations, sheep dogs, sheep shearing, and spinning, weaving, felting and dyeing. Local vendors will offer island-made goat cheese, textiles, yarn, fleece, meat, and other related products. Information from local organizations including the Lopez Farm-to-School Program and the San Juan County Textile Guild will also be available. Daytime events are free of charge. In the evening, Vita’s Wildly Delicious will serve a meal of local lamb and Island-grown produce. Tickets are available by contacting vitas@rockisland.com. A silent auction during the day, a live auction during the dinner, and part of the dinner proceeds will benefit the Lopez Island Farm-to-School Program. The Festival is sponsored by Island Fibers and the San Juan County Agricultural Resources Committee. For more information, contact Island Fibers at (360) 468-2467 or email fibers@islandfibers.com. In other news, the Puget Sound Purebred Sheep Breeders Association presents its annual Sheep School – Shearing Workshop, coming up May 30 at Stanwood High School. The event is open to both beginners and experienced folks. Speakers will be producers active in the sheep field as well as professionals in related agricultural industries. Topics include: How to Perform a Health Check; Hoof Care and Hoof Trimming; and Shearing (Traditional Shearing, Shearing on a Stand, and Slick Shearing for Market Shows). There will be time throughout the day to ask questions and speak with others experienced in the sheep industry. A lamb luncheon put on by the Stanwood FFA is included in the registration fee. The day will close with a raffle at 4 p.m.
To register, see www.pspsba.org. For more information, contact Jessica Nemnich at (425) 319-9624 or rjnemnich@gmail.com, or Margaret Olson at (360) 929-6572 or maolson@stanwood.wednet.edu. The Puget Sound Purebred Sheep Breeders’ Association was formed in 1980 to promote the interests of the purebred sheep industry in Washington.